Although there is an obvious association between pilgrimage and place, relatively little research has centred directly on the role of architecture. 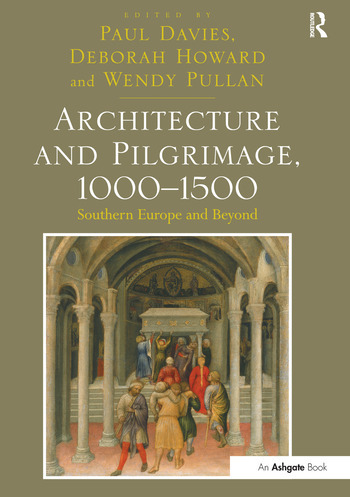 Architecture and Pilgrimage, 1000-1500: Southern Europe and Beyond synthesizes the work of a distinguished international group of scholars. It takes a broad view of architecture, to include cities, routes, ritual topographies and human interaction with the natural environment, as well as specific buildings and shrines, and considers how these were perceived, represented and remembered. The essays explore both the ways in which the physical embodiment of pilgrimage cultures is shared, and what we can learn from the differences. The chosen period reflects the flowering of medieval and early modern pilgrimage. The perspective is that of the pilgrim journeying within - or embarking from - Southern Europe, with a particular emphasis on Italy. The book pursues the connections between pilgrimage and architecture through the investigation of such issues as theology, liturgy, patronage, miracles and healing, relics, and individual and communal memory. Moreover, it explores how pilgrimage may be regarded on various levels, from a physical journey towards a holy site to a more symbolic and internalized idea of pilgrimage of the soul. Paul Davies is Reader in Architectural History at the University of Reading, UK. Deborah Howard is Professor of Architectural History and Fellow of St John's College, Cambridge University, UK. Wendy Pullan is Director of the Martin Centre for Research, Department of Architecture, Cambridge University, UK.